Passion is the key of living happy life. Growing up from the little village called Nalingula in Malawi — southeastern Africa, in the middle of nowhere a place where they had no electricity television only streams and farms, waking up to the footsteps of market women was her morning motivation, listening to the first sweet melody of hens in the morning, reminded her to wake up with inspiration to do something in life. Harifa Daly, born to do more, to do great, and be different. She admired news catalogs that corrected from the market when the seller wrap on the goes that she bought. ‘I told myself I want to be that woman that looks beautiful in the catalog’, she recalls. Through Harifa’s second year in school, as she has expelled due to minor mistakes, she traveled on the bus to South Africa alone at the age of 16 to search for destiny, by late 17, she had a child. “Life wasn’t easy I was abused and humiliated but I swallowed my pride with my one month child selling tomatoes in the street which I have raised money to go to Europe”, she says. She worked hard, and made her mind to do something new in life. In 2014, she studied psychology and it helped her to overcome the pain, fears, and difficulties in life. She discovered that writing and talking through her experience is also a process of healing. “I took a journey of writing on social media. My write up inspired many, I received a lot of emails from people to tell me how I’m helping them, I also inspire a lot of youth, raising two kids on my own 17 and 14 has been a blessing, I live to be a great example for them, knowing education is the key I love to contributing in community work and also encouraging the youth to focus and do well in life. One of the key I have discovered so far is that if you don’t fight for yourself in life nobody will, you need to dedicate and inspire yourself each day of your life with things you see to be someone. I grew up on my own, I never had any support from any member of my family, I work hard on my own”, Harifa says. As she wrote a first book called communicating with God. 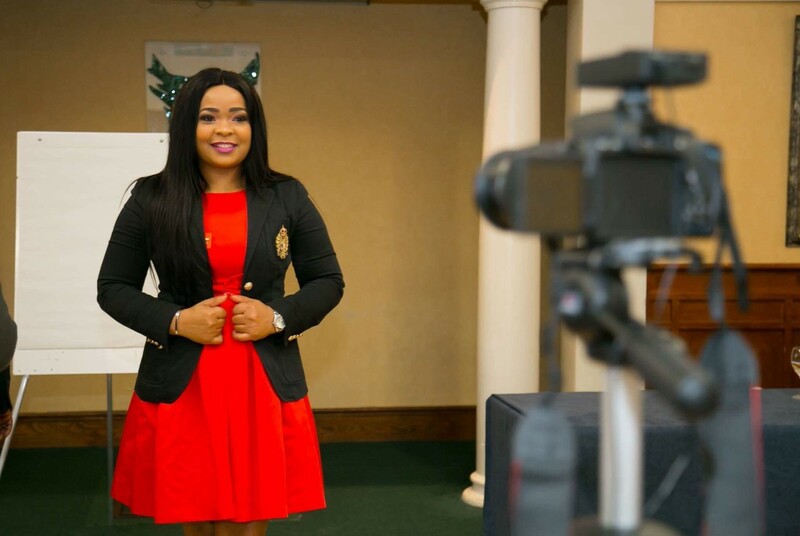 In 2012, she started motivational speaking through social media especially on facebook timeline which she gains a lot of followers and built the positive audience an also she is founder of ‘Miss D Talk show’ which she host interviews of different people all over the world. In Feb 2012, she was a judge of Miss South Africa — Ireland which was a big success. In 2015, she hosted interview of the founder of Tazorlee foundation. In March 2016, she was invited by i-smile international foundation on women’s day to conduct some interviews, and the event was held in Dublin. In April 2016, she hosted the red carpet on face of sickle cell black tie event which was in the radisson hotel Dublin airport in Republic of Ireland. In June 2016, she hosted red carpet on fourth Annual National Sickle Cell Day, in Ireland. In July 2016, she was invited as a guest for the launch of first ever Magazine organized by Deb sandy foundation. In Oct 2016, she was invited to work with the youth on a project that was organized by Yemi Adenuga to empower the youth in Ireland. She also attended the book launch event on the following eveing as a red carpet host & also guest speaker thant was hosted by Yemi Adenuga. In 2016, she raised money for Lio Mezie, a nigerian actor who had kedney failure. In additional of that, Harifa Daly, have been nominated as a motivational speaker of the year in Ireland, event will be held shortly around Mid of March 2017. Everyone faces insecurities and other challenges. Harifa did too. But She wanted to redefine it, and encourage people to understand their hidden talent. “She always talks about the worth of family and friends, and striking a balance between work and life,” to inspire others. Her determination made her unique.